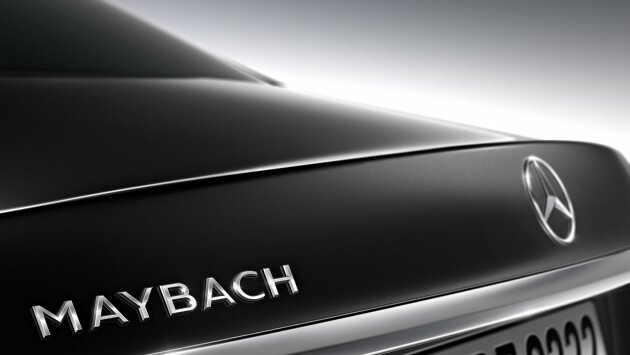 Maybach is dead, long live Maybach! Well, sort of, because the twice-defunct über-luxury brand – last axed due to poor sales in 2012 – has been swept into the Mercedes-Benz fold, becoming part of the official name of the extended-wheelbase S-Class, known as the Mercedes-Maybach S 600. The car is due to make its debut at the Los Angeles Auto Show later this month. The Mercedes-Maybach S 600 is an extended-wheelbase version of the W222 S-Class, with even more rear legroom than the long-wheelbase edition of the latter. It won’t be the longest S-Class around though – that honour will be reserved for the six-seater Pullman that we’ve spied recently. Details are limited at the moment, but we do get a peek into the interior of the car, which will probably be offered exclusively as a four-seater. The additional legroom afforded by the extended wheelbase should make those Ottoman foot rests more useful than they are in the long-wheelbase for taller owners. Mercedes-Maybach will not be an equipment line – rather, it’ll be a sub-brand that will deliver Mercedes-Benz cars in an exclusive form. An Automotive News Europe report has suggested that the Mercedes-Maybach S 600 will be powered by a 530 hp 6.0 litre twin-turbo V12, and that there could also be a V8-engined Mercedes-Maybach S 500 and a 3.0 litre V6-engined Mercedes-Maybach S 400 4Matic. Also, there are currently no plans to introduce Maybach-branded hybrids, SUVs or sub-S-Class models like the E-Class, Mercedes sales chief Ola Kaellenius told the publication. continue dead . who will buy tis , exactly same as s-class . all super-rich will opt for bently or Rolls-Royce .